Make Break Ear-Resistible Easter Slime. Hop hop hooray, Easter’s on its way! 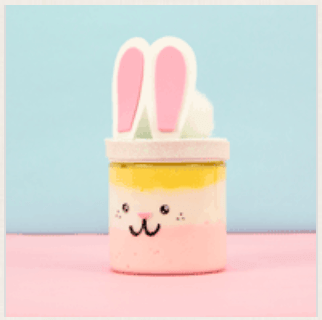 Decorate an adorable bunny jar and fill it with layers of slime. Buy the jar, and we’ll provide the premade slime. This event is available today, April 13, 2019, from 1:00 pm – 3:00 pm. Toys R Us Canada has published the FREE Activities for April 2019. L.O.L. Surprise! Even: Saturday, April 13, 2019, 11:00 a.m.-1:00 p.m.
Take part in instore L.O.L. Scavenger Hunt and try new products along the way. Complete the sticker scene to receive a FREE L.O.L. Giveaway! Plus, take a cool pic at the exclusive L.O.L. Surprise! Makeover Series photo-stand! L.O.L. Surprise! Gift with Purchase: Saturday, April 13, 2019, ONLY. Receive a FREE L.O.L. Surprise! Hat, when you spend $50 or more (before taxes) on ANY L.O.L. Surprise! Product. Available instore only. While they last. Max. 50 per store. Today, Tuesday, April 2, 2019, What A Bagel Canada is giving out not 1 but 6 FREE Bagels! Head over to any What A Bagel location today, Tuesday, April 2, 2019, and enjoy 6 FREE bagels, all day long! No purchase necessary. You will be able to choose from the following: Poppy seed, Sesame seed, Plain, Multigrain, Whole wheat, Pumpernickel, Flaxseed and Cinnamon raisin. What a Bagel Canada Freebies: Six FREE Bagels for Everyone, April 2nd! I love this! 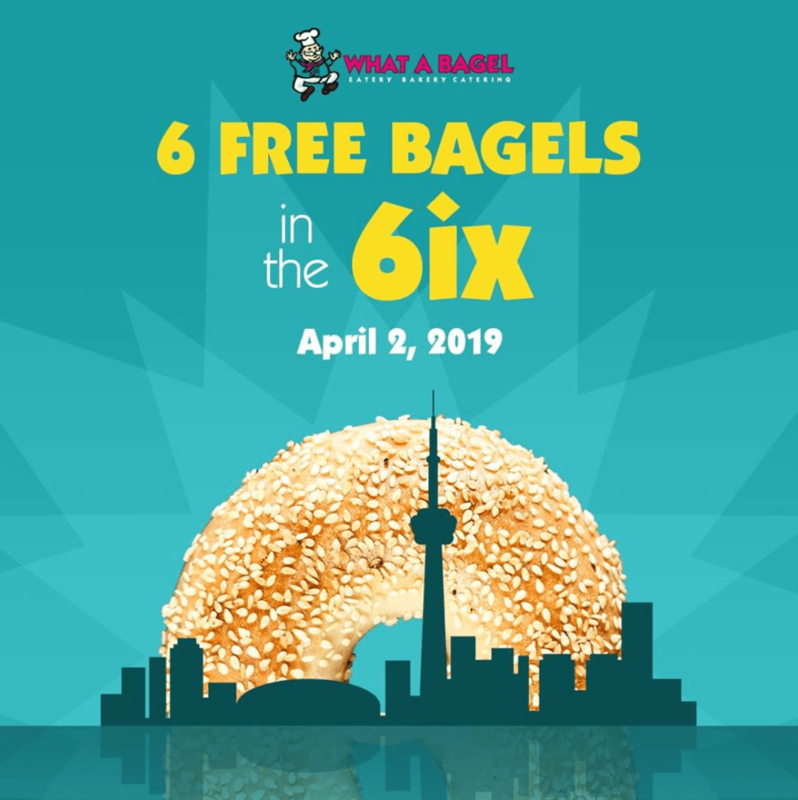 On Tuesday, April 2, 2019, What A Bagel Canada will give out not 1 but 6 FREE Bagels! Head over to any What A Bagel location on Tuesday, April 2, 2019, and enjoy 6 FREE bagels, all day long! No purchase necessary. You will be able to choose from the following: Poppy seed, Sesame seed, Plain, Multigrain, Whole wheat, Pumpernickel, Flaxseed and Cinnamon raisin. 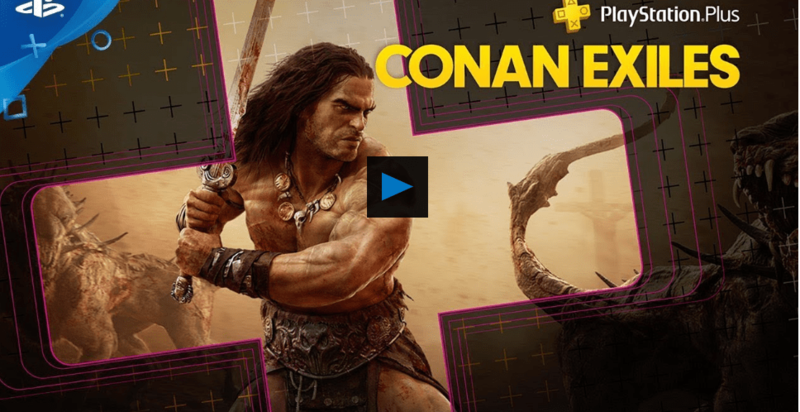 PlayStation Plus has Free Games for April 2019! All games will be available from April 2, 2019, to May 5, 2019. 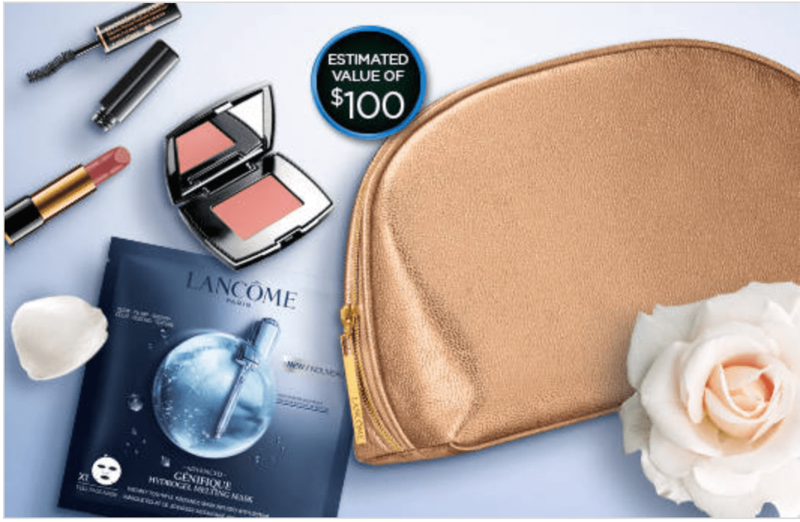 Hudson’s Bay Canada has a great promotion available now! 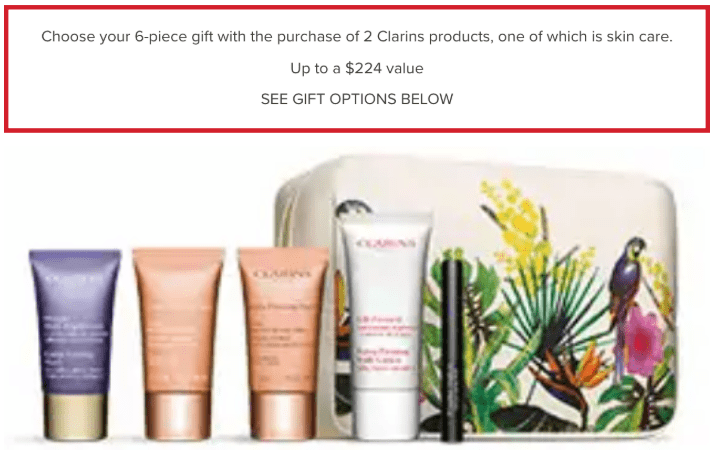 Get a FREE 6-Piece Gift (up to a $224 value) with the purchase of two Clarins products, one of which is skin care. FREE Shipping on Any Beauty Order. This Hudson’s Bay Clarins promotion is valid online for a limited time only or while supplies remain in-stock. 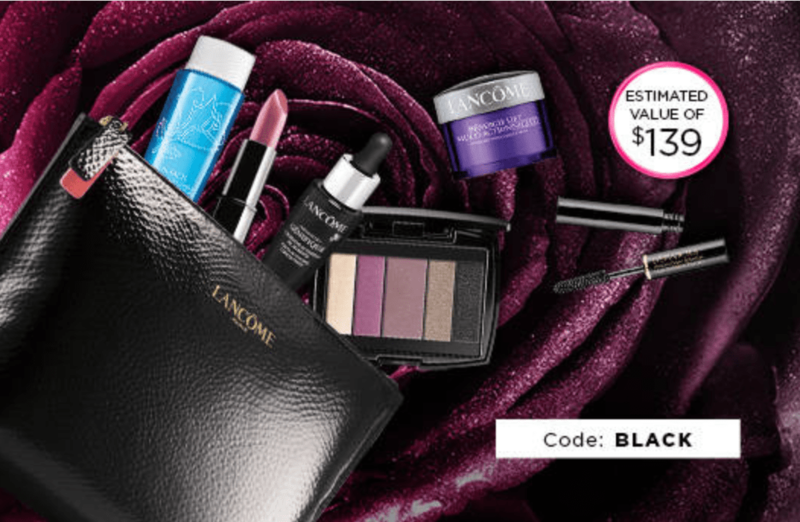 Lancôme Canada has Limited Edition Spring Essential, A luxury travel case including 7 spring essentials. An estimated value of $236. Only $65 with any purchase of $45 or more. If you suffer from back pain or muscle strains and sprains, you may want to try this FREE Robax platinum samples! 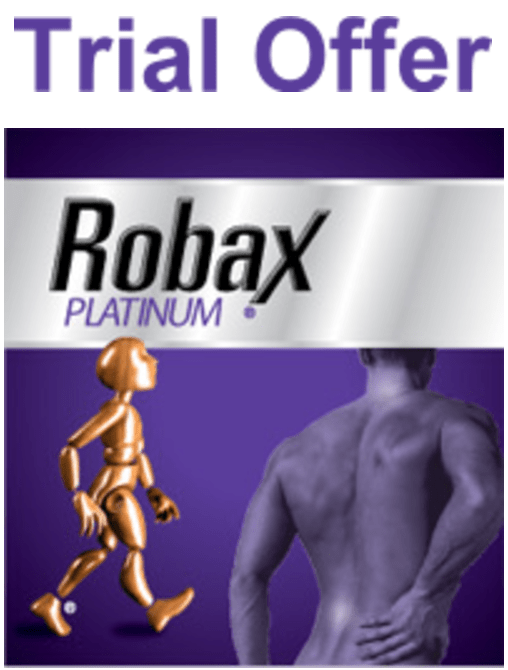 Robax Canada is offering a FREE trial of their Robax platinum pain reliever medication. It is recommended as analgesic and muscle relaxant for back pain. This Robax trial offer is available to Canadian residents of 18 years or older in all provinces and territories, with the exception of Quebec, due to provincial regulations. To get this Robax freebie, you must fill out a simple 8 question survey to ensure you qualify for the sample. Limit 1 per household. It is valid for a limited time, while supplies last. Click here to request your FREE sample of Robax Platinum. Toys R Us Canada FREE In-Store Event: Get Your Hair Styled! + Pink Shirt Day + Trade & Play Day, Today! Saturday, February 16, 2019, 11:00 a.m. – 1:00 p.m.: Get your hair styled! Available at Select store locations only. We’re giving away FREE “Be a Buddy, Not a Bully” pink shirts to support Pink Shirt Day! Help us take a stand against bullying by wearing your pink shirt on February 27, 2019. No purchase necessary. Max. 100 shirts per store. Limit one per child in attendance. Kids sizes only. While quantities last. Are you looking for new and interactive ways to entertain your kids and get them out of the house? We’ve got you covered all year long! Join us for the first Toys”R”Us Play Day of 2019. Play Day is the ultimate family event with fun and exciting activities for everyone. Activates may vary by store. Recommended for kids 3 and up. All giveaways are available while they last and distributed to participants only. Pokémon Collector? New to Pokémon? Bring your card collection to trade and play with “Us” at your local store. Trade with other Pokémon collectors OR get your collection started TODAY! PLUS – Participants will receive a FREE Pokémon Trade and Play Kit! Min. 125 per store. All giveaways are available while they last and distributed to participants only. 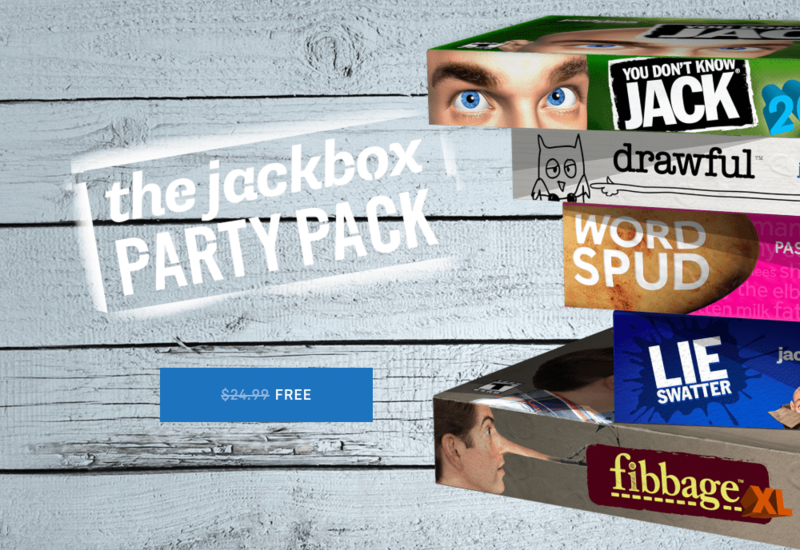 Epic Games has an awesome Freebie available now until February 5, 2019, where you can get The Jackbox Party Pack for FREE! The comedy trivia sensation YOU DON’T NOW JACK 2015 (1-4 players) with hundreds of all-new questions. The bizarre drawing game Drawful (3-8 players) -you draw right there on your phone or tablet (very little/no real skill required). For 1 – 100 players! Your phones or tablets are your controllers! The bundle is for $24.99 USD on the Epic Games Store and for $27.99 CAD on Steam. Toys R Us Canada FREE In-Store LEGO Movie 2 Themed Event, Every Saturday! Toys R Us Canada has published the FREE Activities for January & February 2019. Toys “R” Us Canada has FREE In-Store LEGO Movie 2 Themed Event, Every Saturday until February 9, 2019. January 19, 2019: Build your own scene from the movie! Plus take home a FREE movie poster! Recommended for kids ages 4 and up.While they last. Max. 100 per store. January 26, 2019: Build a LEGO DUPLO alien to take home! Registration required. Not an R club member? Join the R club program for exclusive offers and events. Sign-up in-store with your R Club card by Jan. 24, 2019. Recommended for ages 1 ½ years or older. While quantities last. Max. 50 registrants per store. February 2, 2019: Use bricks to build your own original LEGO character and take it home! Recommended for kids ages 4 and up. February 9, 2019: A 2-in-1 Make and Take! Build Emmet’s Dream House or Rescue Rocket. Recommended for kids ages 4 and up. Max. 200 builds per store, while they last! 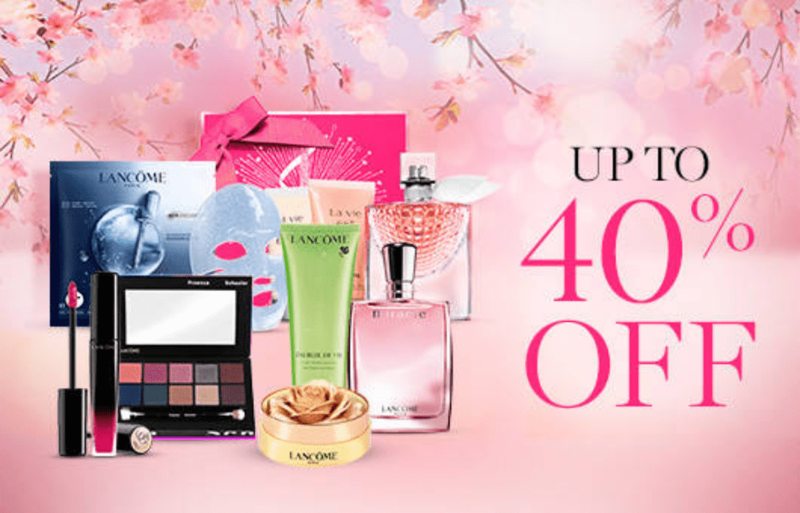 Hudson’s Bay Canada has a great promotion available now! Get a FREE 5-Piece Gift (up to a $110 value) with the purchase of two Clarins products, one of which is skin care. 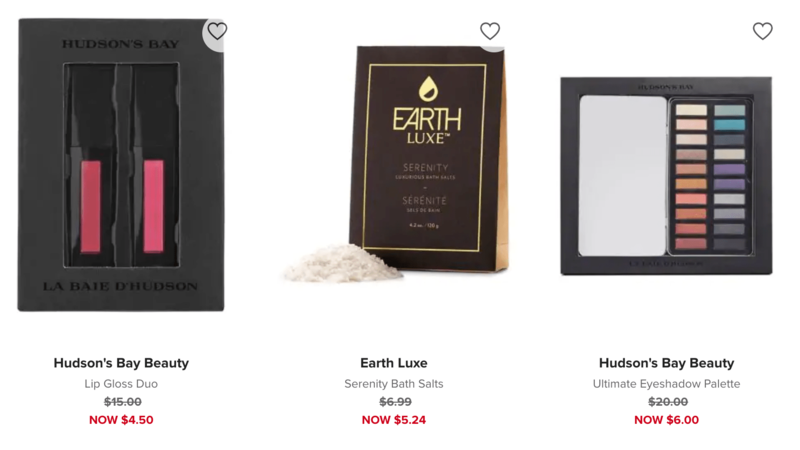 You can also save up to 75% off many beauty items on clearance. 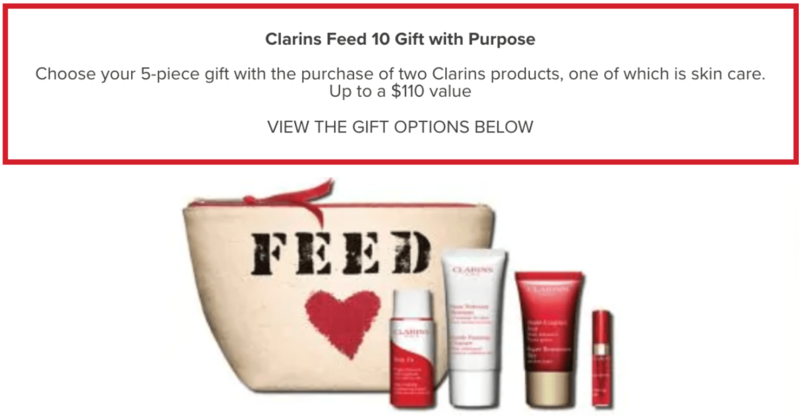 Purchase two Clarins products, one of which is skincare and receive this FEED with Clarins pouch containing a travel-size of the Body Fit and the Gentle Foaming Cleanser. Your Gift With Purpose not only provides 10 meals to school children around the world, it also invests in their future. Build your gift and choose the day cream perfectly adapted to your skin. Choose your favorite mini make-up product. 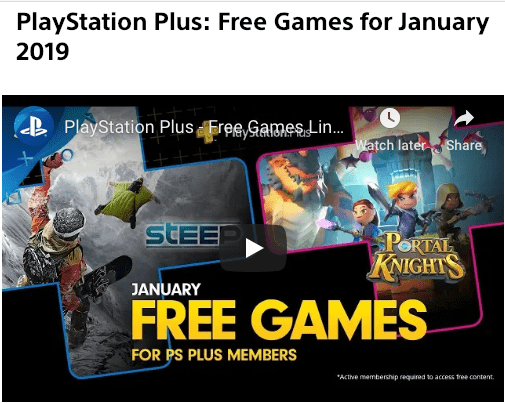 PlayStation Plus has Free Games for January 2019! All games will be available from January 1, 2019, to February 5, 2019.